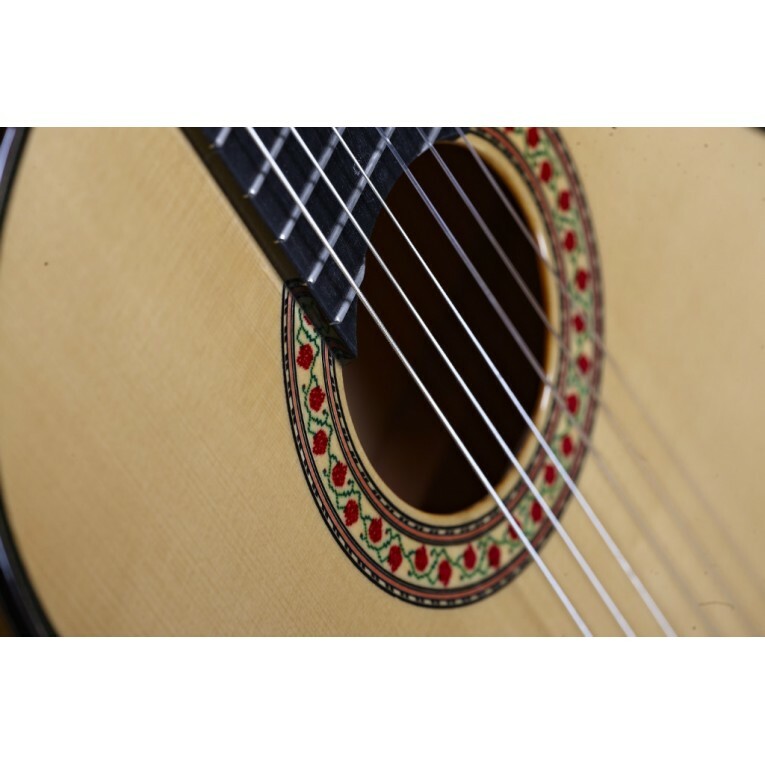 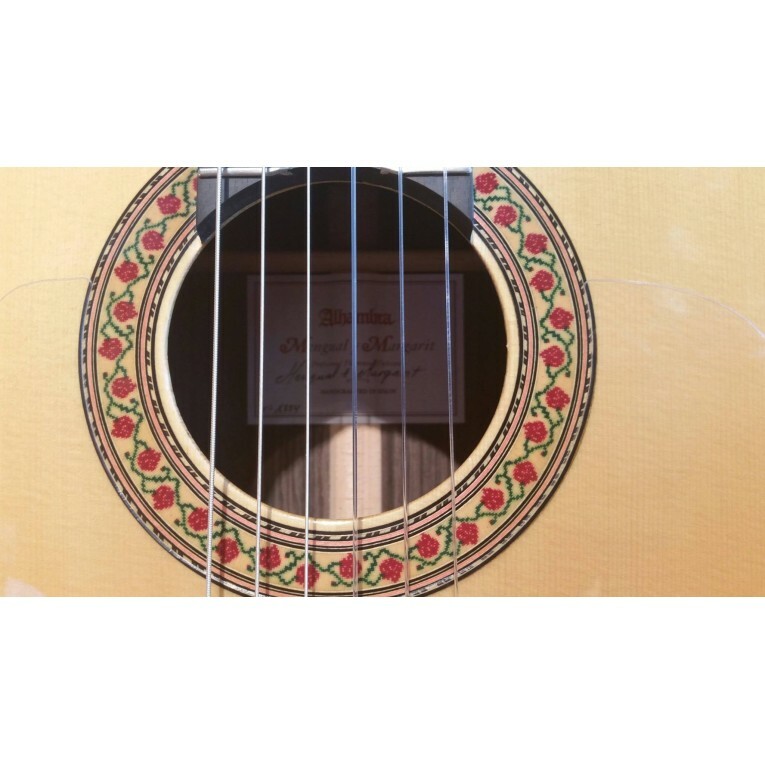 The Flamenco guitar Alhambra Mengual and Margarit Flamenco Palosanto, features exquisite finishing and tremendous sound potential that provides the artist with the indispensable tool needed to express his musical ideas to the fullest perfection. 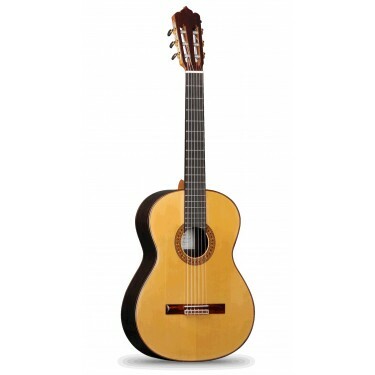 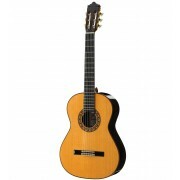 This professional flamenco Negra guitar made by the Alhambra Luthiers Mengual and Margarit, have everything a profesional guitarist need in terms of sound, playability and quality woods. 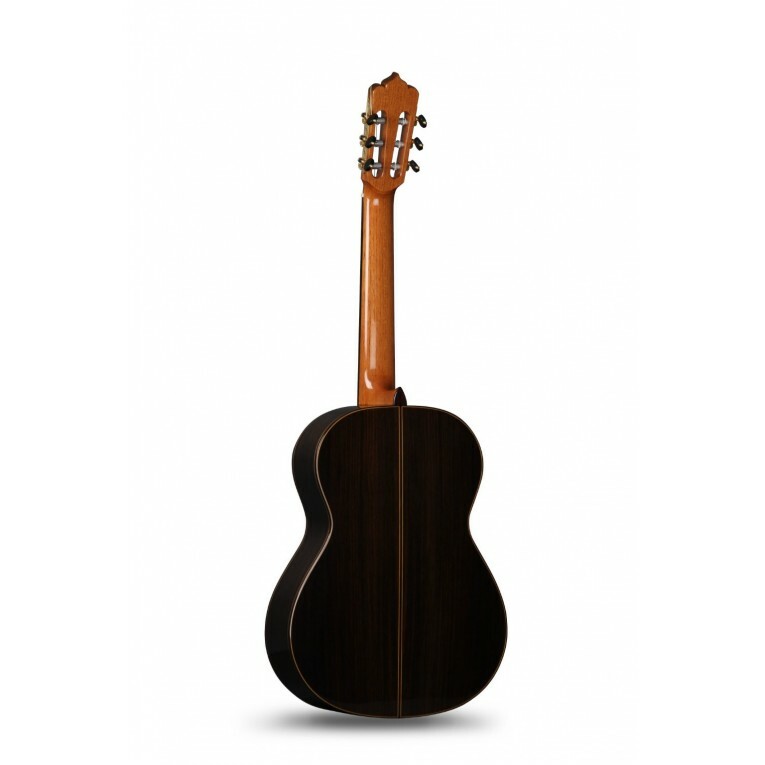 The sound on this guitar is rich, full of details and nuances, with a full bodied sound and great volume thanks to the rosewood body. 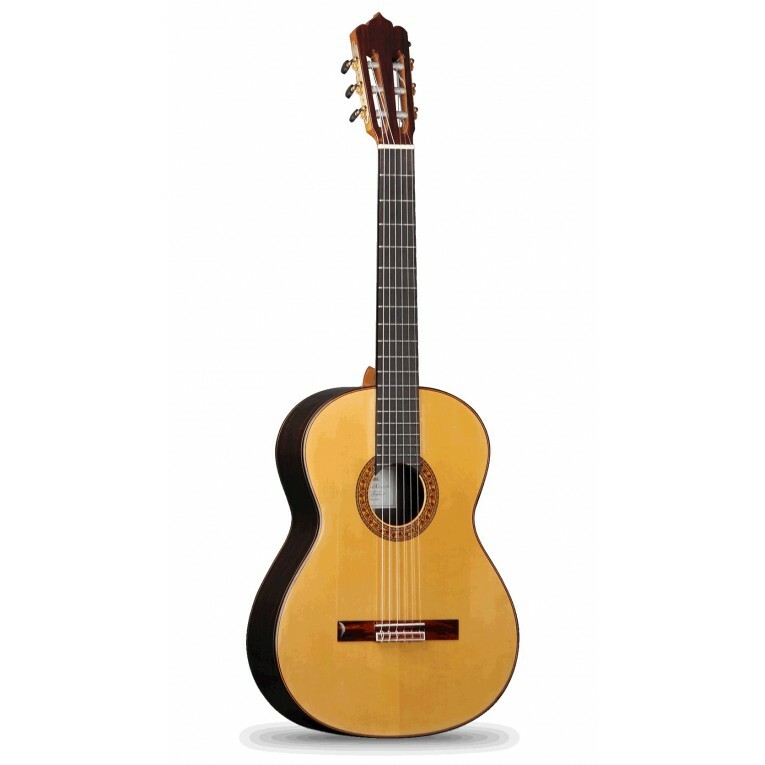 The guitar Alhambra Mengual & Margarit Flamenco Palosanto have a select solid spruce top, solid indian rosewood body and cedar neck with ebony fingerboard. 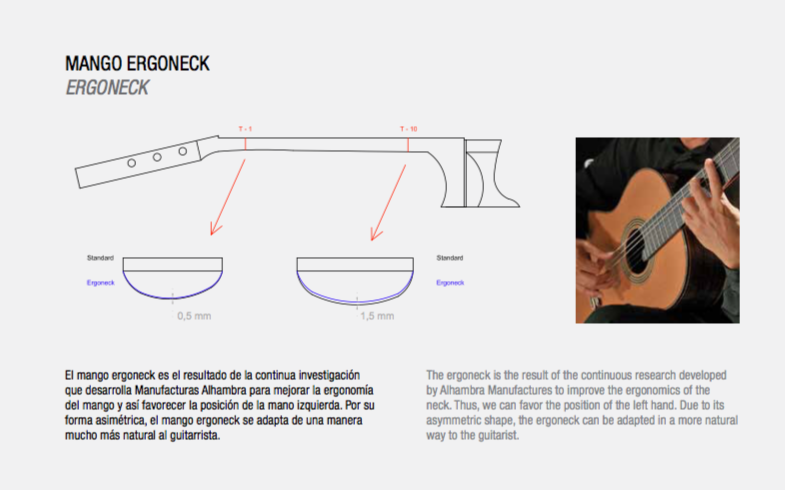 The luxury machine heads gives the guitar a precise and smooth tuning. 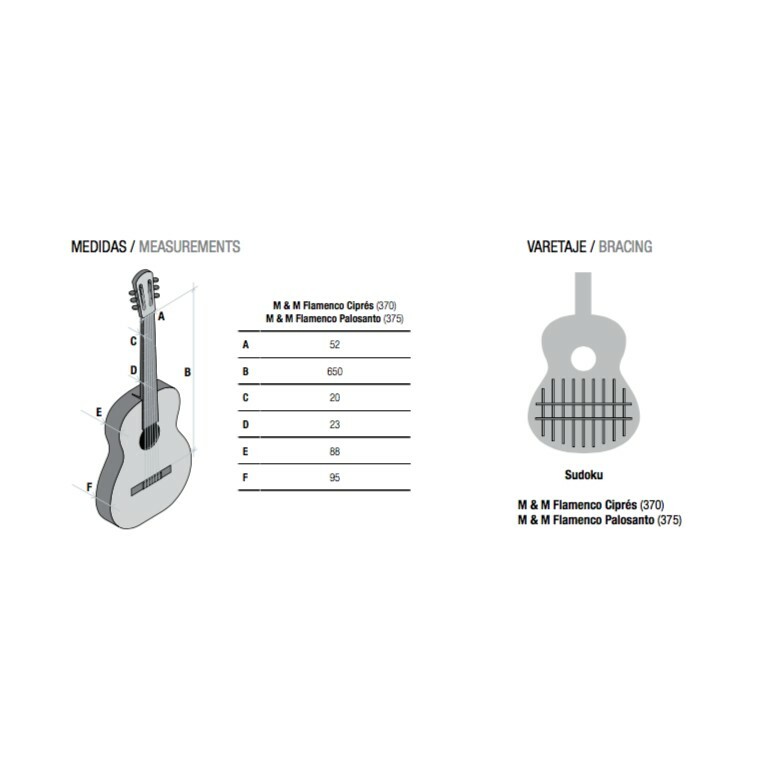 Hard guitar case included.